This post brought to you by P.F. Changs. All opinions are 100% mine. As a mom of four it's not often I get a special night out with my husband. When we do we make the most of it. One of our favorite places to go as a couple is to P.F. Chang’s. When we go to P.F. Chang's we love to order our favorite meals. My husband and I always order P.F. Chang's Kung Pow Chicken or Shrimp, it is our favorite. Right now when you visit P.F. Chang's you can get a special treat. They have some new desserts that are to die for. 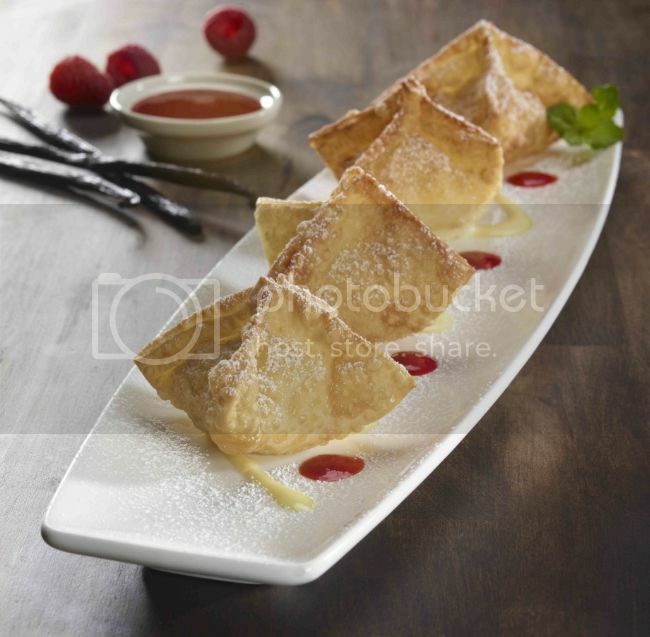 They have two new dessert Wontons. My favorite is the the Sweet Vanilla Cream Wontons. They are so delicious. They are each handmade and filled with vanilla Cream cheese and served with rasberry sauce, with a dusting of poweded sugar. 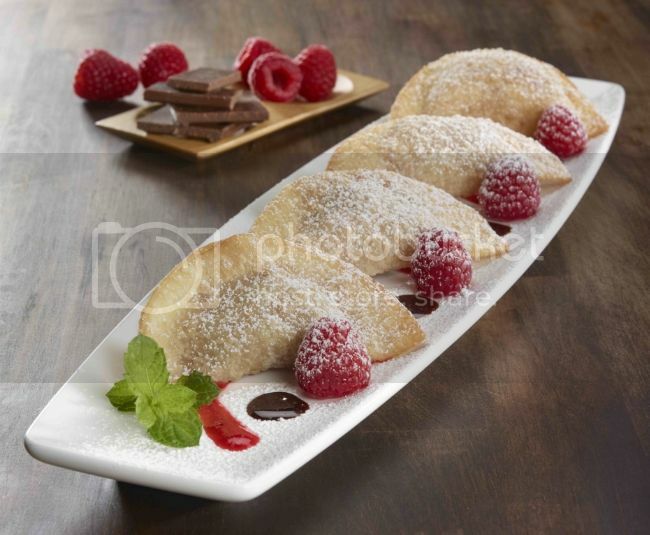 They also have Chocolate Rasberry Wontons with a Chocolate-raspberry filling served with a chocolate and rasberry sauces. They also have two new Holiday drinks. My favorite is the Pepperment Mocha Cappicino. It is made with Crave Mint Chocolate Liqueur and vodka added to a classic cappuccino, finished with crushed peppermint candy. Make sure you bring your designated driver. It's great with your dessert Wonton. The other new drink is the Vanilla Bean Bourbon Milkshake.